Payment terms T/T, L/C, Western Union,etc. 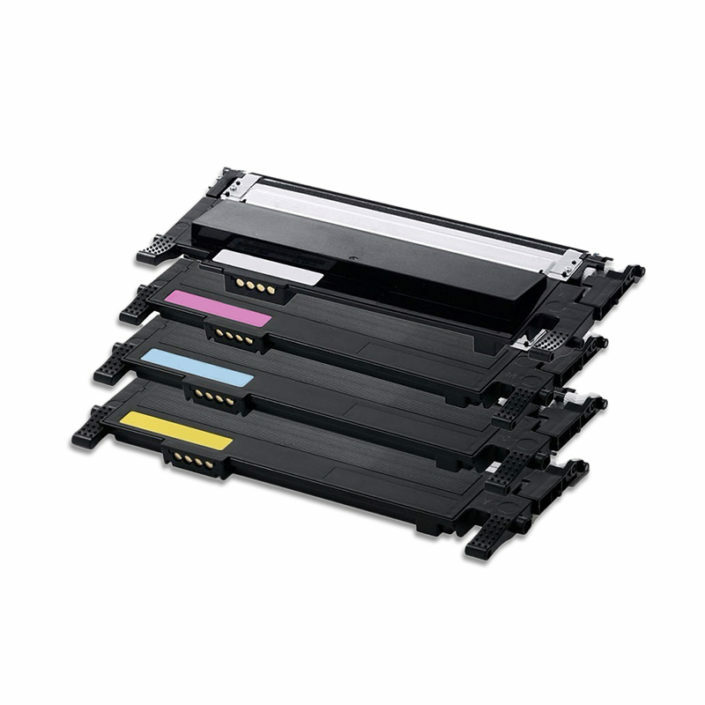 Advantages 1) Enough toner loading, 100% OEM page yield and use with best formula. 3) 18 months quality guarantee and one to one replacement for the defective products. 4) Factory direct supply with good price and fast delivery. We also offer copier parts and printer parts: fuser roller, fuser assembly, fuser film sleeves , gear, transfer roller, pickup roller, maintenance kit,etc. Our company strictly implements the quality assurance commitment to the sold goods, and has passed the high temperature/low temperature/drop/seal test before delivery. Before the ink cartridge is on the machine, the tail mark on the ink cartridge nozzle must be torn off. When replacing a new cartridge, clean the printhead before the original cartridge runs out of ink. After installing the cartridge, let the cartridge stay in the cartridge for 5 minutes. Clean the printhead until the nozzle check is normal. If there is a disconnection or lack of color, let the cartridge stay in the cartridge for 10-15 minutes. If the print problem persists, check the print head 1 – 3 times according to the printer operation instruction until it is unobstructed. If the printer does not recognize the ink cartridge, remove the ink cartridge and reinstall it. If the printer still does not work, try restarting the printer. After the cartridge is opened, please use it within 6 months to ensure the best printing results. Do not remove the ink cartridge from the printer until the ink has run out. When replacing the ink cartridge, follow the steps in the operating manual. The ink volume of the printer is measured using the electronic counter inside the printer. During cartridge replacement, the printer resets its internal electronic counter to confirm that a new cartridge is installed. Do not touch the ink box outlet with your hand to prevent impurities from entering the ink tank. Do not drop the ink cartridge to prevent it from leaking ink. The external ink cartridge cannot be raised and cannot be lowered. Love your printer, please go to a regular service center to do regular maintenance for your printer. For example, if you do not need a printer for a long time, please open the printer regularly and press the cleaning button to clean the nozzle. If the ink cartridges have quality problems that affect the printing effect, they can be returned for free. The ink cartridges are sold and used in the market. The statistical feedback rate for feedback information does not exceed 1% in one year, which proves that the brand is excellent and the quality is stable. Please rest assured that you use it. In the printing process encountered the above problems, first of all should be self-inspection, patterns in the absence of line phenomenon, you need to clean the print head. Under normal circumstances, when the print head is cleaned and the self-test is performed, there is no line defect in the pattern. If the self-test pattern is still missing after cleaning, repeat this operation 2-3 times. Under normal circumstances, the line of the self-checking pattern will be reduced, which proves that the cleaning is effective and should be kept clean. After continuous cleaning, normal printing cannot be achieved, indicating that there is less or no ink in the cartridge, and the cartridge needs to be replaced. Newly installed ink cartridges sometimes encounter self-inspection of missing lines or a certain color that cannot be sprayed. At this time, do not judge the print head jams easily. Most of them are caused by bumps and inverting storage during transport. Clean the print head. Under normal circumstances, if there is a small number of missing lines in the self-test pattern, if you do not make high-quality pictures (just file), you can print normally without cleaning the print head. Storage of ink cartridges Place the ink cartridges at room temperature, away from sunlight, strong light and heat sources. Do not tear open the cartridge’s outer packaging and air vent seal before the cartridge is installed on the machine. After the cartridge is unpacked, it should be installed on the printer as soon as possible, otherwise it may cause the cartridge to leak ink or not to emit color. 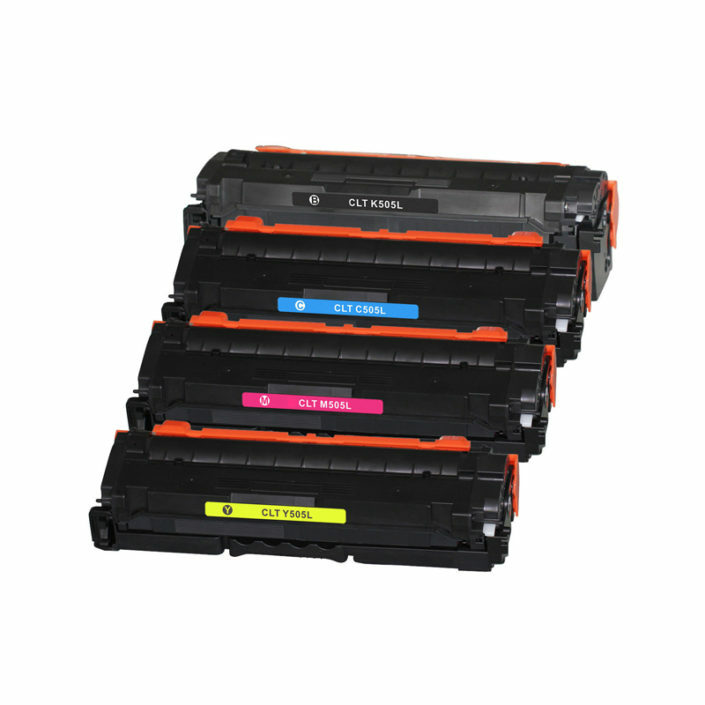 For the best printing results, use it within six months after installing the cartridge. Ink cartridge installation and replacement When the INK OUT indicator starts flashing during printing, it indicates that the ink is about to run out. You can still print several images continuously until the indicator light stops flashing. Replace the ink cartridge immediately. When you install the ink cartridges, you must peel off the air seals according to the instructions on the printer’s manual, but do not remove the tapes on the bottom of the cartridges at will, otherwise the ink will leak. Whenever you install a new cartridge, you usually need to clean the printer 2-3 times. When any ink cartridge is not inked or not installed, the printer will not work even if there is ink in other cartridges. Once the new ink cartridge is set, it must not be removed before the replacement. Unless you want to replace the cartridge, do not open the cartridge protection clip normally, otherwise the cartridge may not be used. In order to keep your printer in top working condition, it should be thoroughly cleaned several times in a year. Turn off the power while cleaning, remove all paper from the feeder, wipe it with wet wipes. Improper handling of the printer can cause serious damage to the printer. It must be properly packed (it is best to use the original packaging). Before moving the printer, make sure that the print head is covered and the ink cartridges are homed. Never remove the ink cartridges from the printer. Keep the printer flat during transport and do not turn it over, otherwise the ink in the print head cleaning tank will flow back. Printhead The most expensive part of an inkjet printer, but it is not as easy to plug as you might think. A general printhead jam can be solved by cleaning the printhead. The key to maintaining the printhead is proper operation of the printer and the selection of a good ink cartridge. The general print head has a life of 20 to 30 cartridges. Printheads have longer printhead life than large amounts of color, halftone, or gray graphics. When the print head cannot be cleaned when black or colored ink (INK OUT) flashes or lights up, replace the ink cartridge first. The printer must have ink cartridges filled with sufficient ink. If you do not use the printer for a long time, it can easily cause the print head to become clogged. Therefore, it must be used at least once a week. Otherwise, the print head may become blocked due to dry ink. For printers that are not frequently used, it is recommended to clean the print head once before shutting down. The working principle of EPSON inkjet printer is different from that of CANON and HP. The multi-layer head technology used by it makes the dots of ink ejected circular. When the dots leave the nozzle, it will not form fog, so it can be done. A clear printing effect, especially PHOTO series is more suitable for printing pictures. However, due to the difference in the structure of the printer, EPSON is easier to enter the air than CANON, so it is easier to plug. 1.Horizontal lines appear when printing, white line or graphic color is light, color cast, blurred or not printed. 2.Ink in the air or impurities in the print head Start the printer Automatic cleaning program Clean the print head 1 to several times. [Note: At the end of each cleaning procedure, the nozzle check pattern must be printed—the test line to observe the cleaning effect], or turn off the printer and stop using it for several hours to see if there is any improvement. 3.If the yellow seal or the seal is not torn, the air guide slot and air guide hole are still closed, and air cannot enter the ink cartridge. 4.If the above reasons have been ruled out, after the replacement of the new ink cartridge is still not printed, it is estimated that the nozzle has been burned or the motherboard problem, it is recommended to send an authorized service center to check. 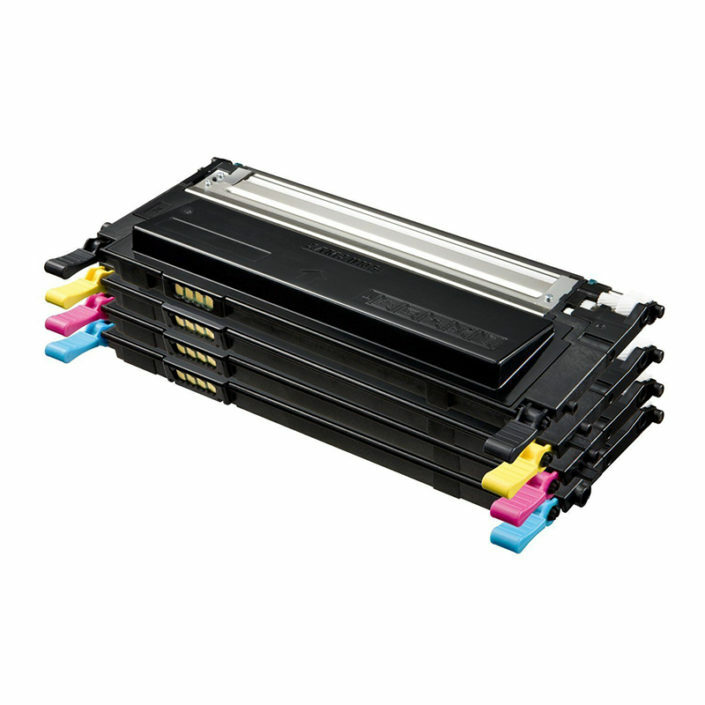 5.The print head is blocked: The print head is not returned to the protective cover or the new ink cartridge is not loaded in time, causing the print head to be exposed to the air for too long and clogged. Be sure to keep the print head back in the protective cover after printing, and replace the ink cartridge as soon as possible. Start the cleaning program. 6.Pay attention to boot, power on and clean nozzles when not in use for a long time to avoid clogging of nozzles. Do not reach into the printer or touch the ink cartridge while printing. When you have doubts about the quality of the ink cartridges and remove unused ink cartridges from the printer, seal the bottom inkjet port with clear plastic tape, seal it in a plastic bag, and give it to your dealer for purchase. The manufacturer detects and determines the quality of the ink cartridge. 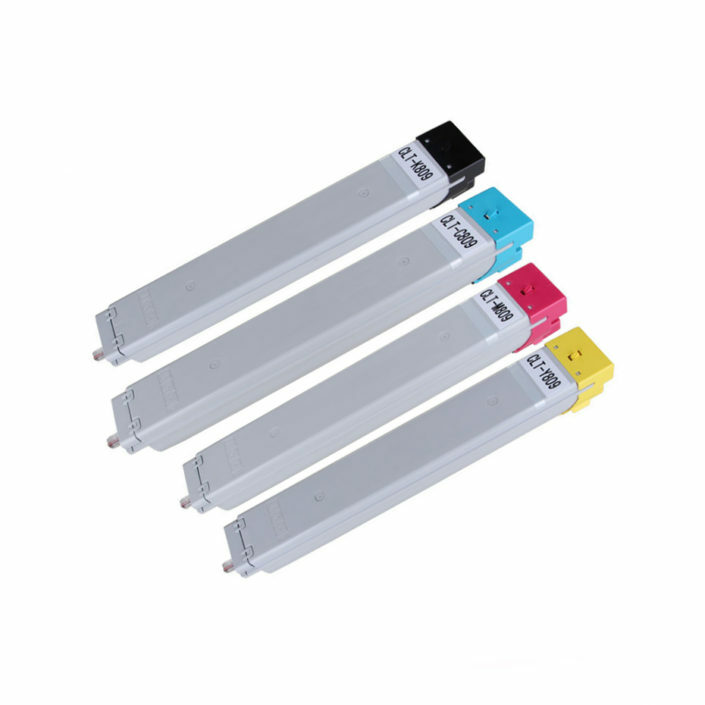 The defective rate of the toner cartridge, Mono toner is near 0.3-0.5%, Color toner is 0.8-0.9%. 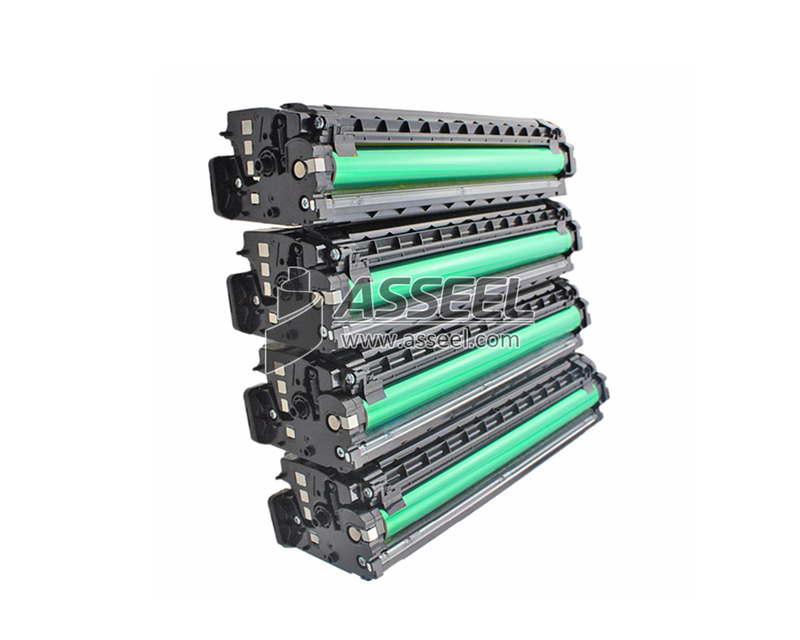 500,000 sets plastic shells of toner cartridges can be produced in one month, because ASSEEL invests in a new mold injection factory, which is located in Dongguan, it’s with 10000㎡. Long-term cooperating supplier with competitive price. Our service telephone is available for inquiries 24/7.